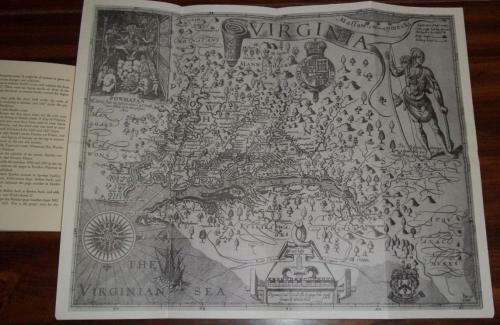 Title: 'John Smiths Map of Virginia with a brief account of its history', published for the Jamestown, Virginia 350th anniversary celebration. A very informative brochure and map reproduction. In very good condition.